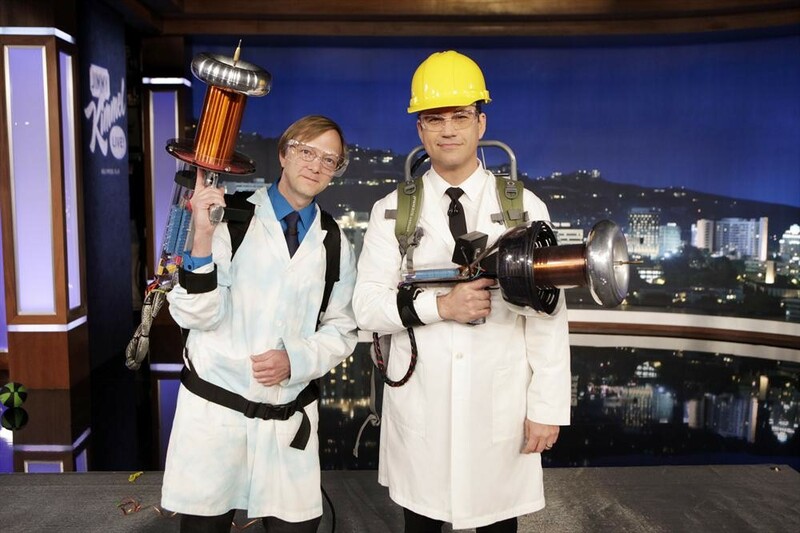 To bring these Tesla Coil Guns to life on Jimmy Kimmel Live, I elicited the help of Steve Ward and Philip Slawinski who had previously built Tesla Coil guns for fun. 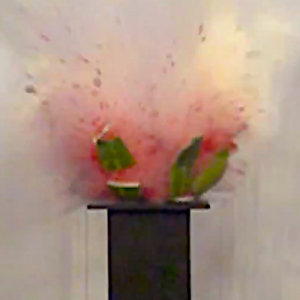 While the guns were impressive, they were also too powerful to use indoor since they could possibly damage the electronics in the cameras and stage equipment which costs hundreds of thousands of dollars. 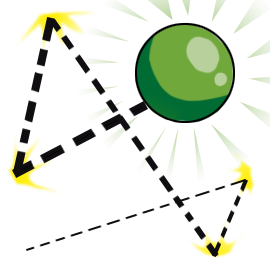 To get around this problem we brought in engineers to design a custom grounding system for the studio. We also made custom grounding footwear out of snowboard bindings so that the units did not have to be grounded directly through the building. 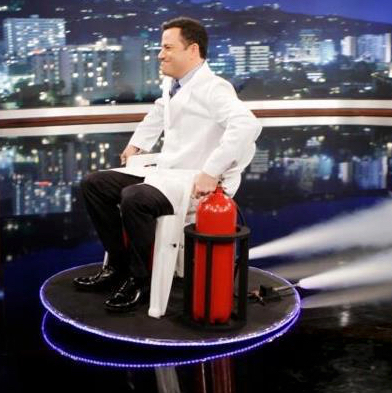 For fun, I wondered if the coils might be able to ignite balloons filled with explosive hydrogen. In a late night test session, it was discovered that they wonderfully exploded with just the microsecond spark of the guns. While the arc from the gun would not likely kill someone if they were to get hit by a bolt, I can tell you it is certainly uncomfortable. In fact, it you were to hold the gun too close to your body, the arcs of electricity could turn and hit you. 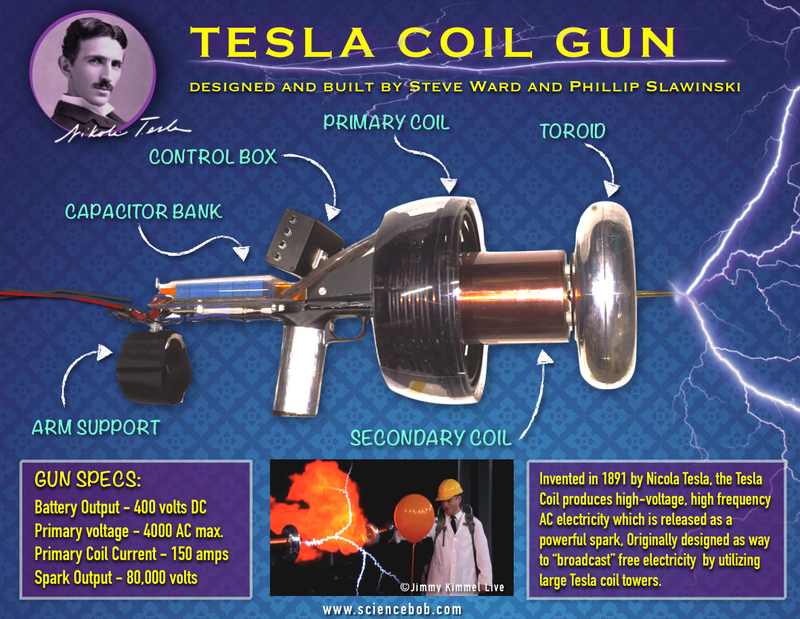 I’m not sure Nikola Tesla would have ever imagined a Tesla coil gun, but I bet he would like it if he saw it.